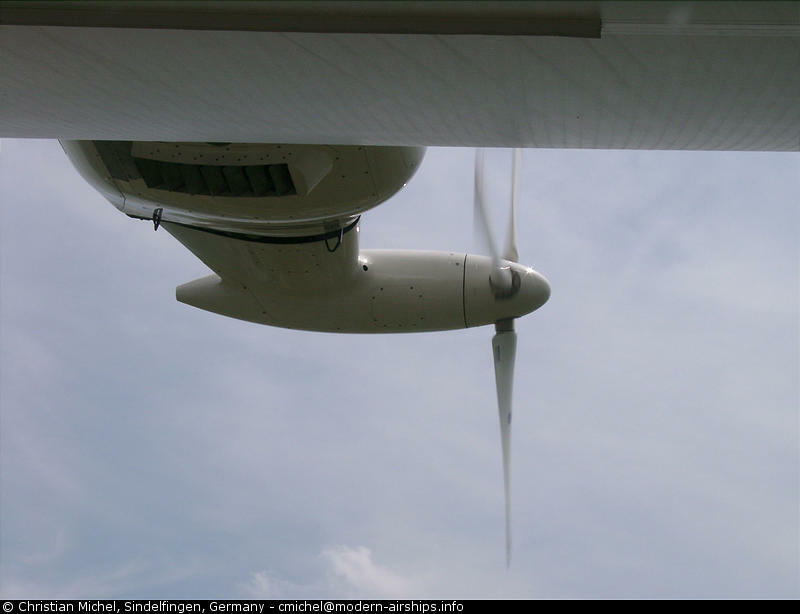 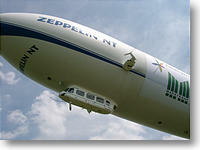 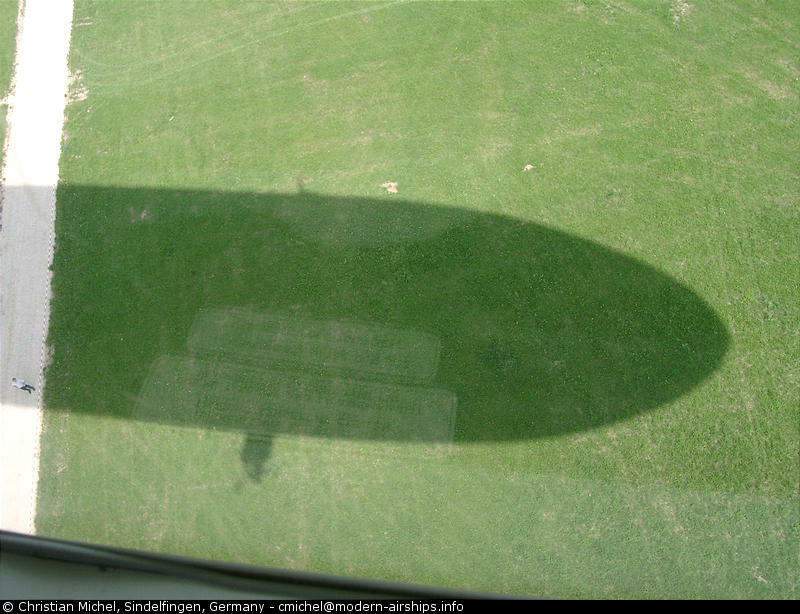 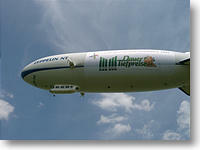 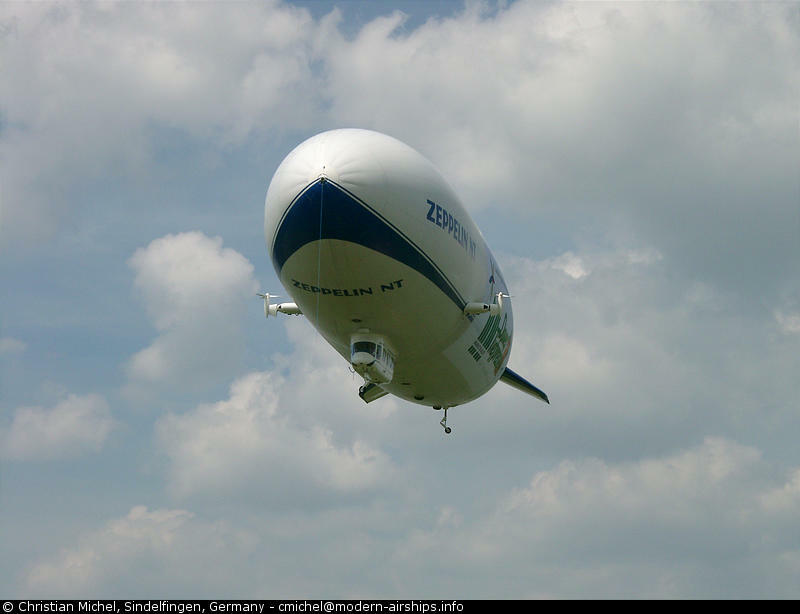 On Wednesday June 26th, 2002 the time had come for my first flight with the Zeppelin NT. 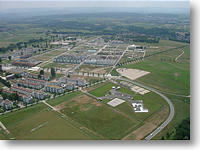 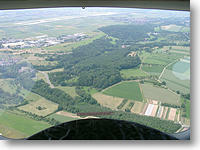 Was it coincidence or not that my first balloon flight was exactly 14 years ago on 1998/06/26? 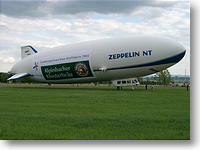 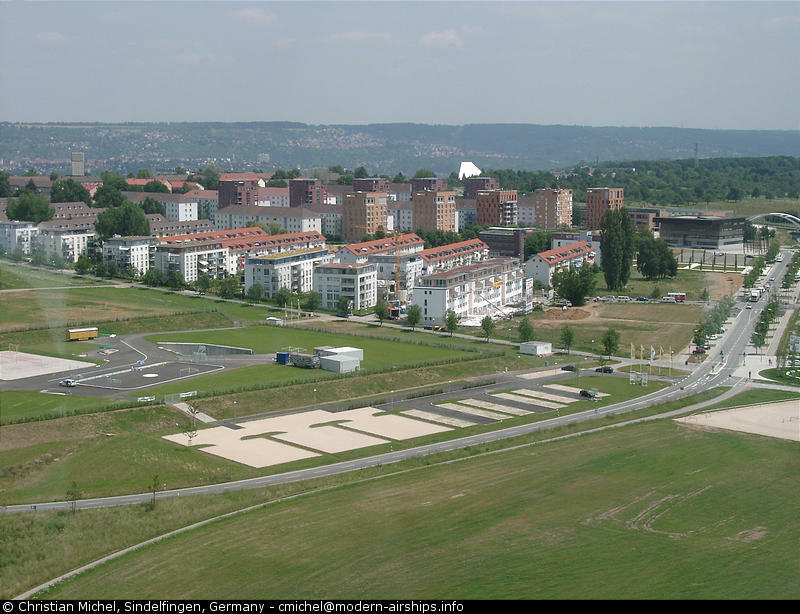 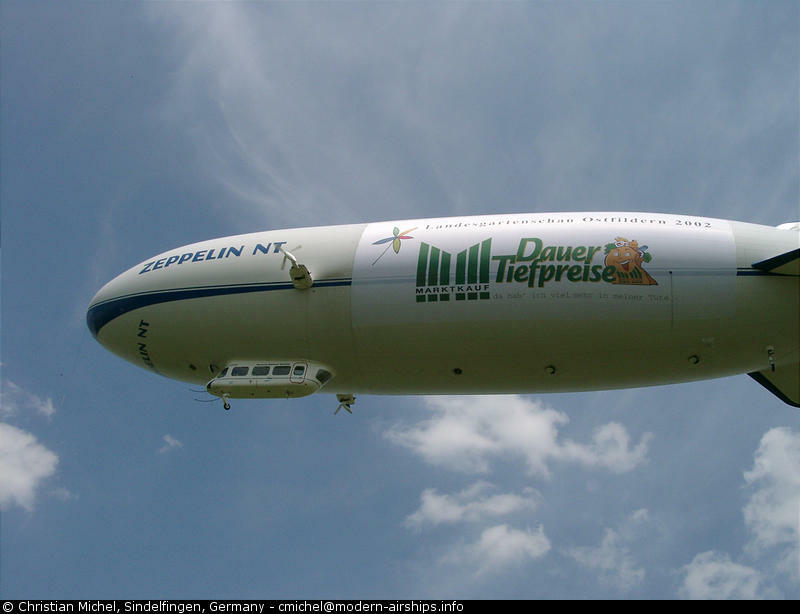 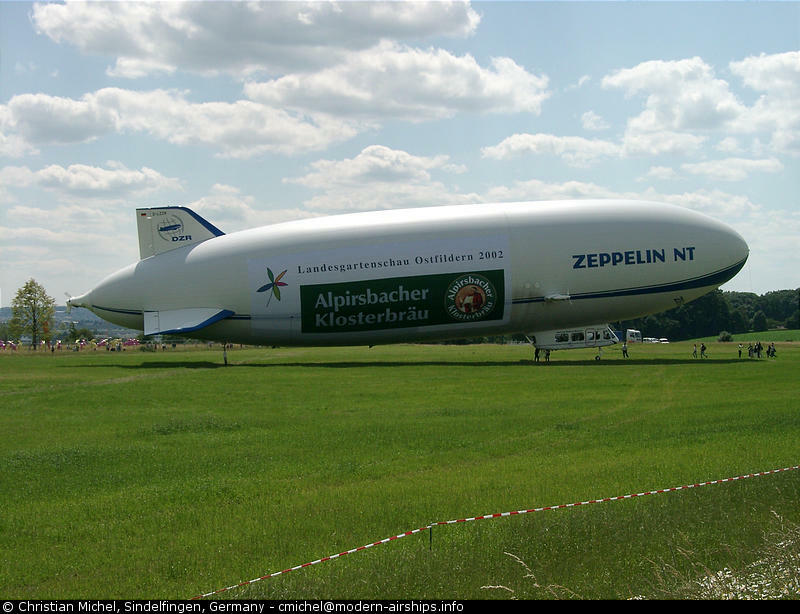 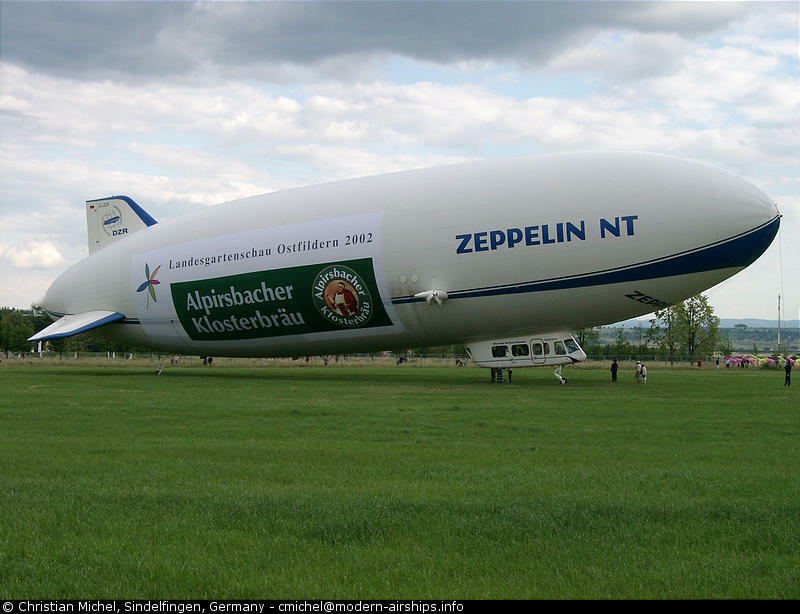 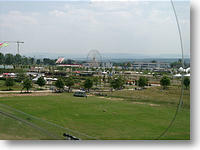 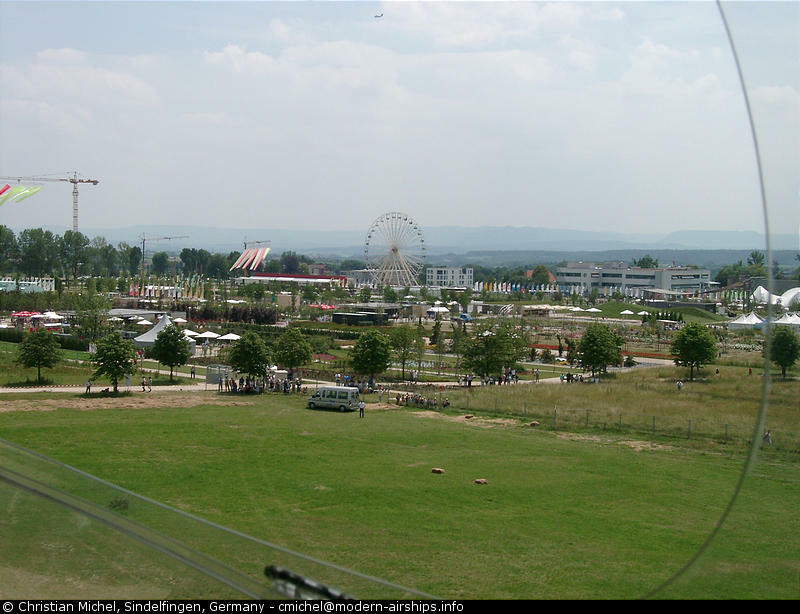 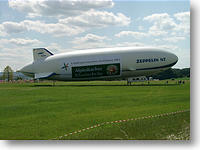 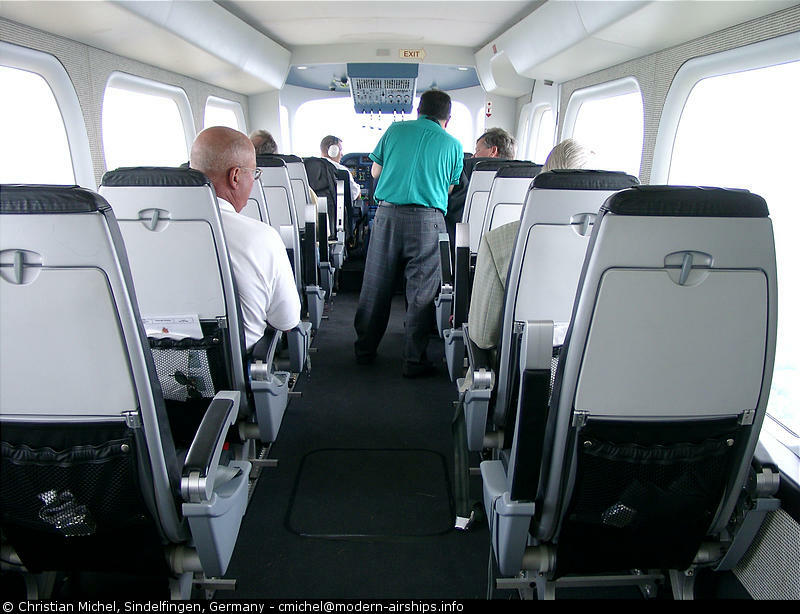 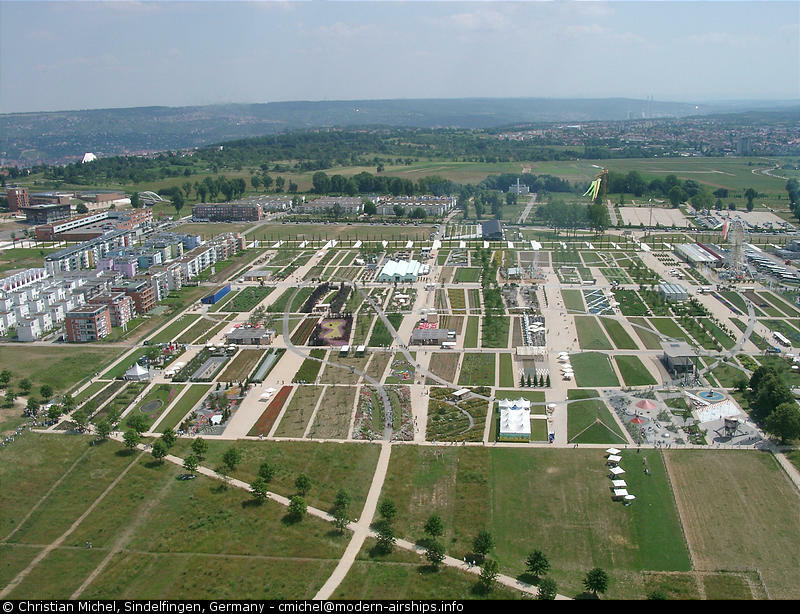 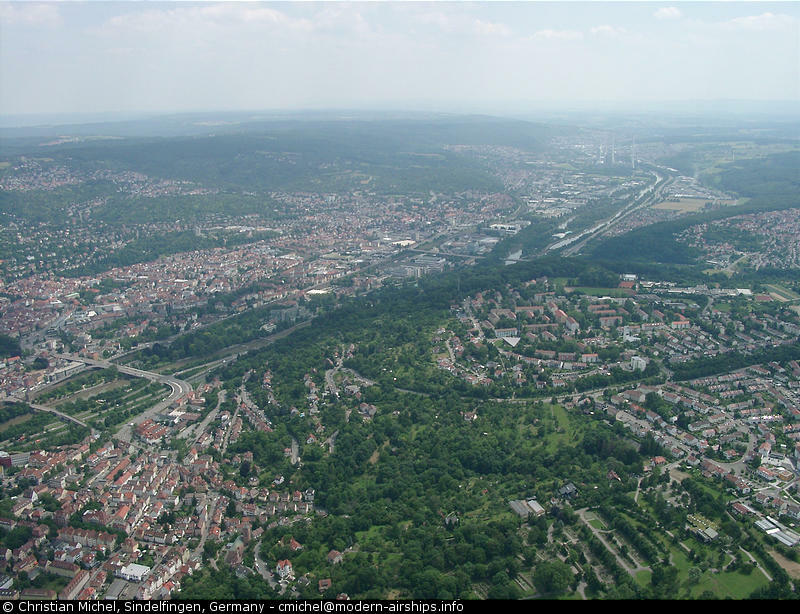 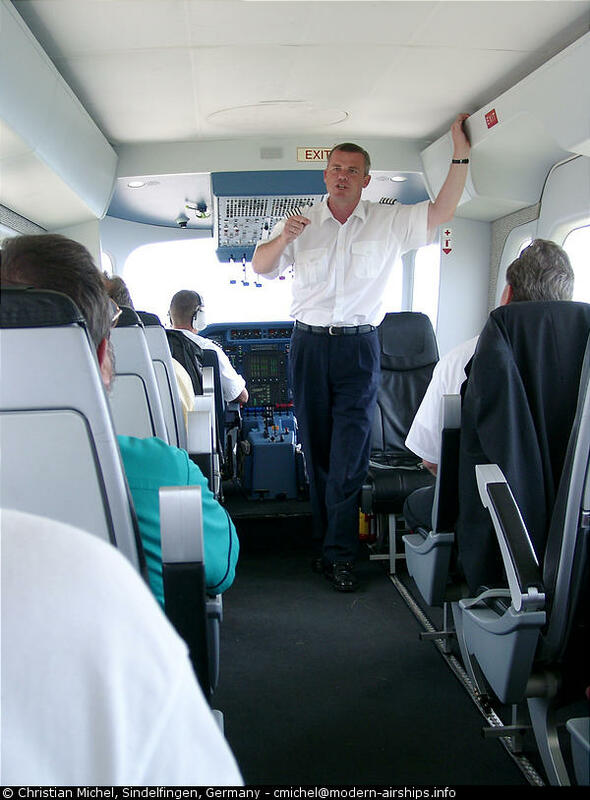 In the summer of 2002 the Zeppelin NT had four trips to a flower show in Ostfildern (close to Stuttgart airport) where they were offering passenger flights over Stuttgart. 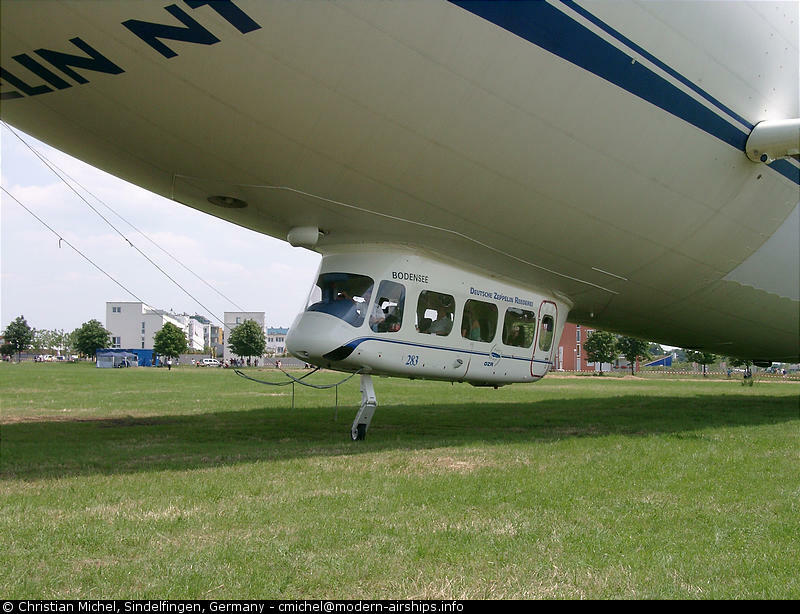 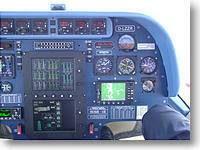 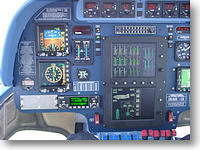 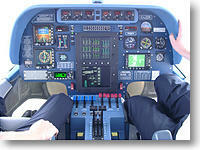 My first flight was in one of those from Ostfildern. 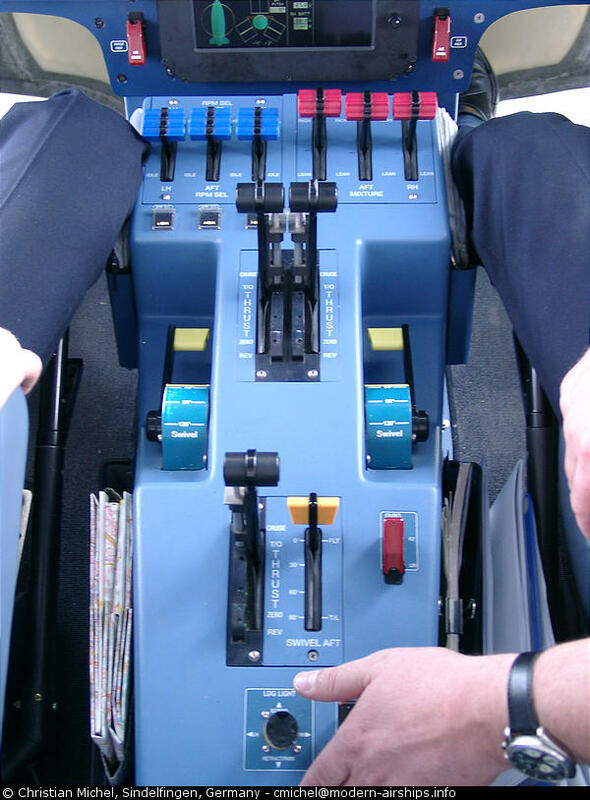 The flight was incredible. 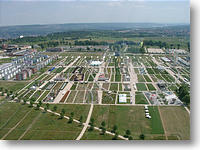 Right from the beginning I was impressed. 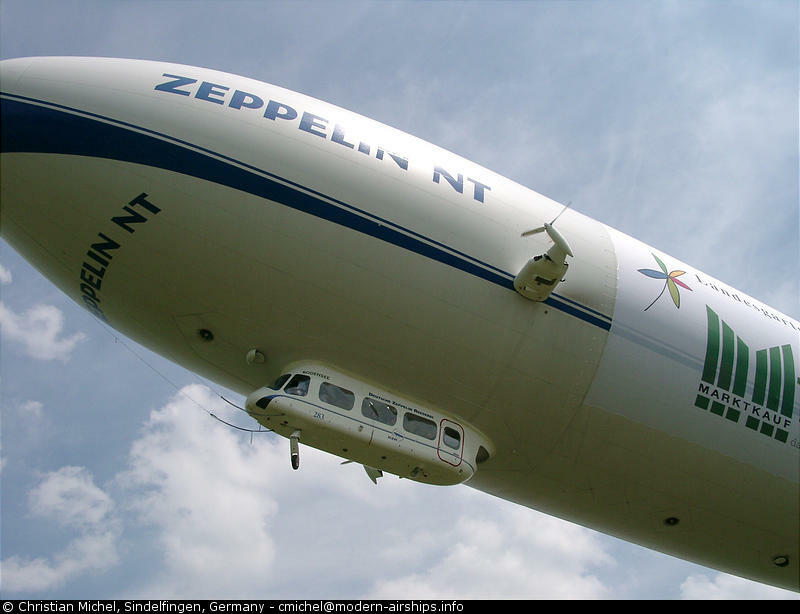 For take-off the side engines are tilted up in the vertical direction and then the airship is lifting off with a good acceleration. 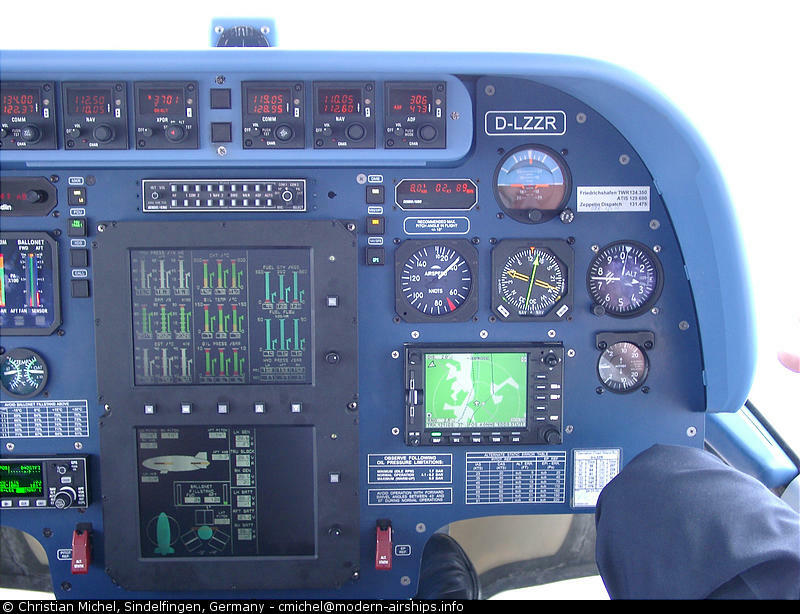 However it does not take very long and the engines are swiveled back into the cruising configuration and the RPMs are reduced significantly. 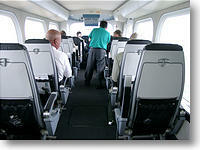 From then on everyone on board is enjoying a relatively quiet and smooth flight. 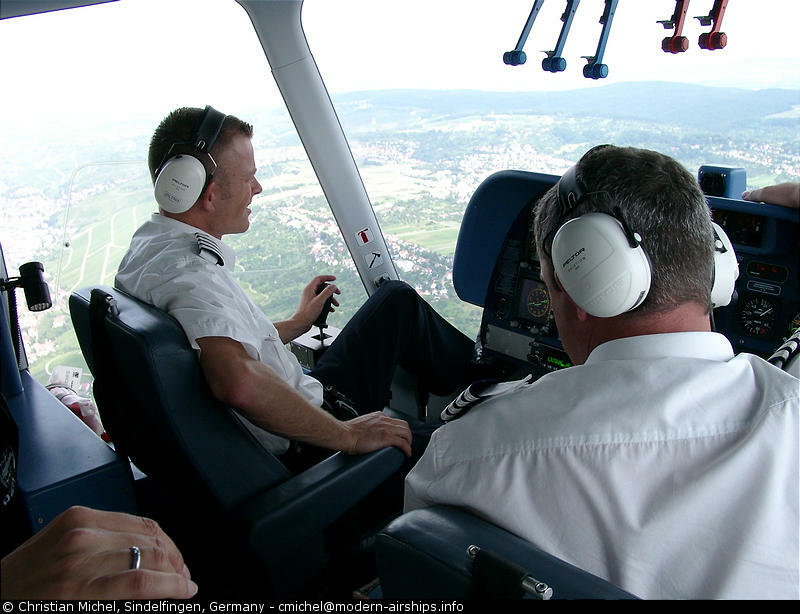 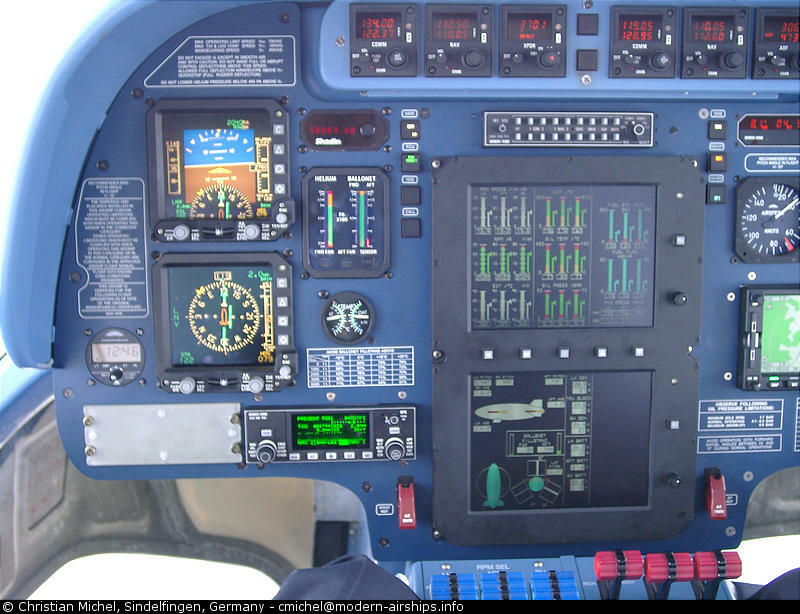 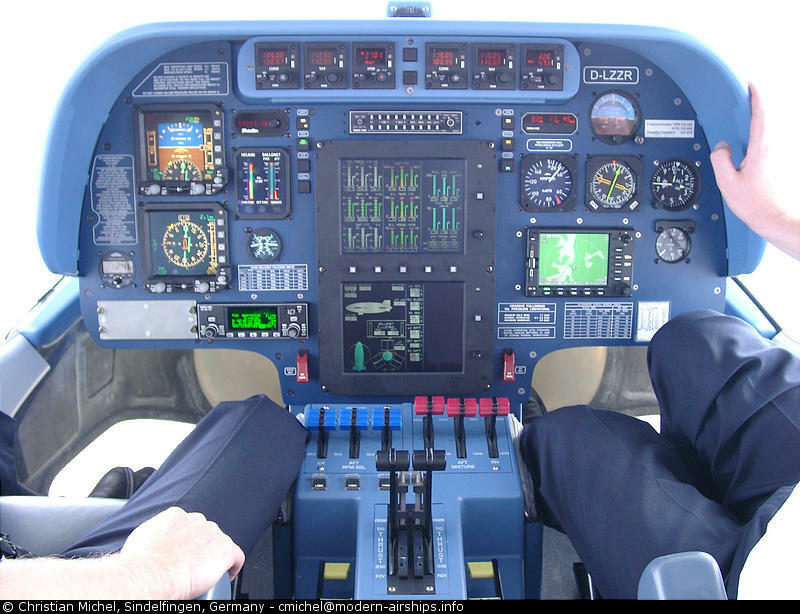 Due to the low flying altitude of about 400 meters and the speed of 70 km/h you have enough time to watch all the details down on the ground. 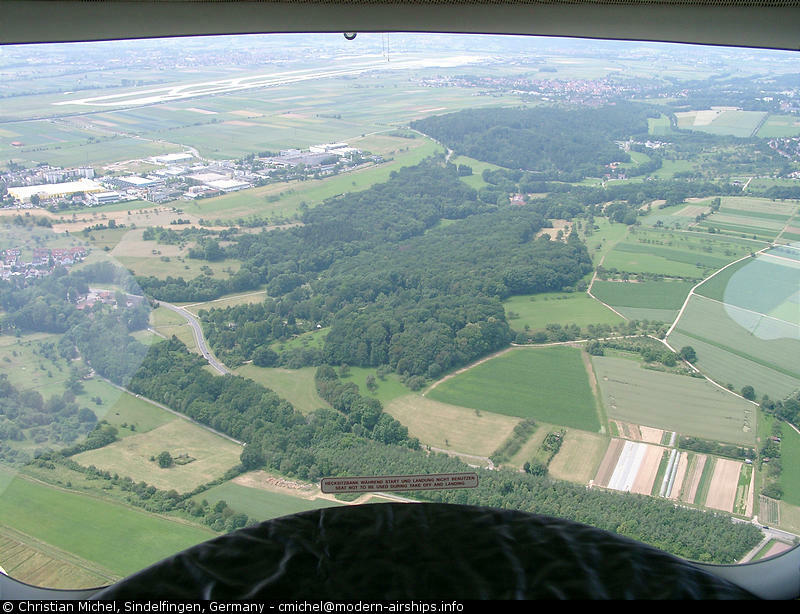 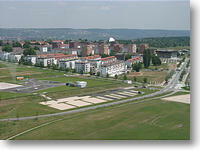 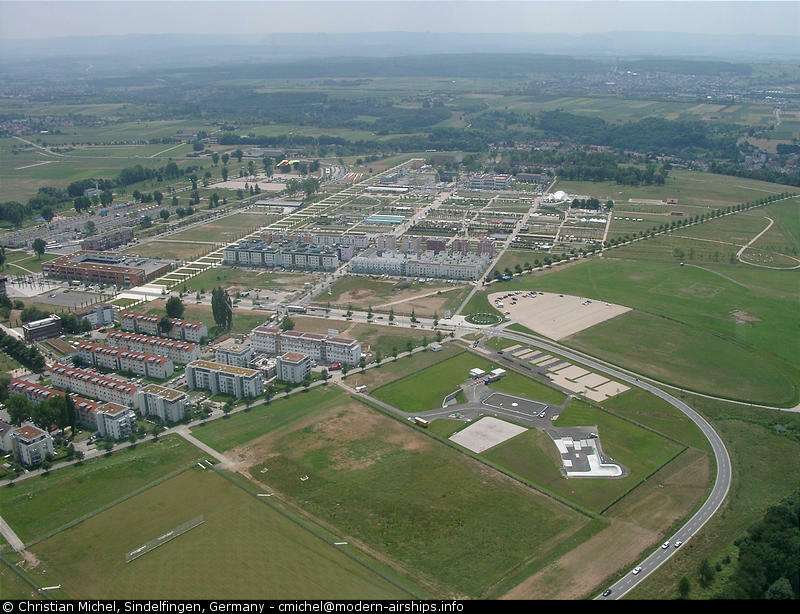 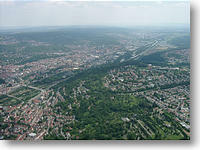 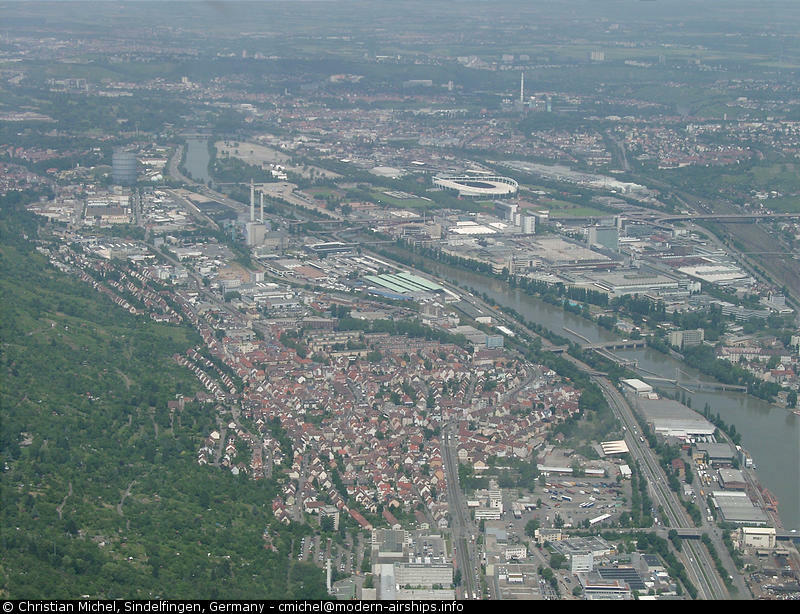 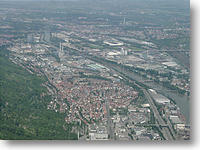 The flight was over much to quickly and then we returned to Ostfildern for the landing. 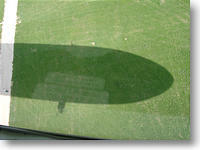 We descended slowly while hovering like a helicopter. 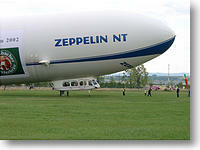 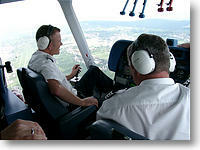 As soon as we touched down the ladder was brought to the airship and the passengers were exchanged. 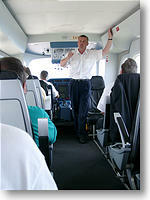 Interestingly the ground crew is only there to help the passengers boarding/deboarding. 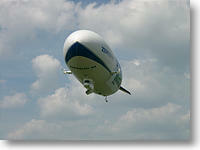 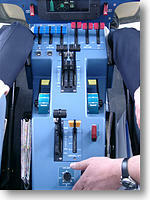 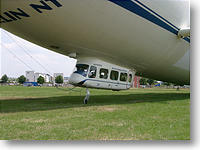 The airship itself is held in its position by the pilot only. 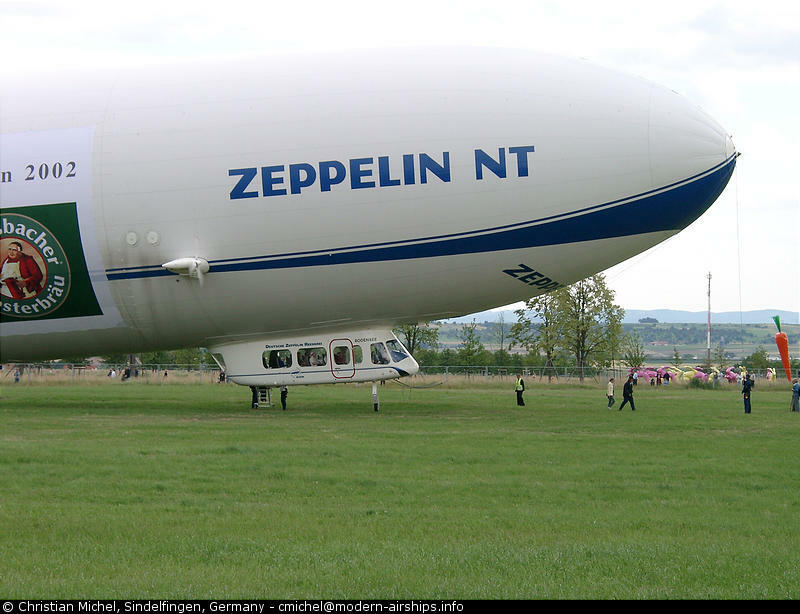 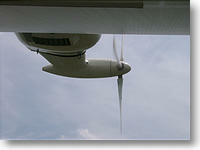 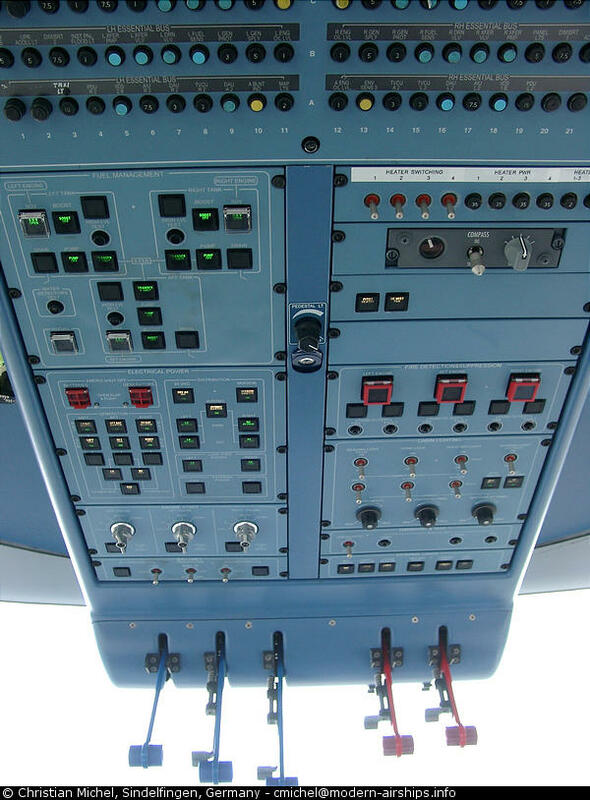 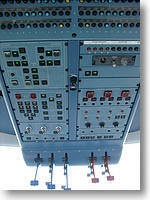 The mast is only used if the airship has to be refueled.